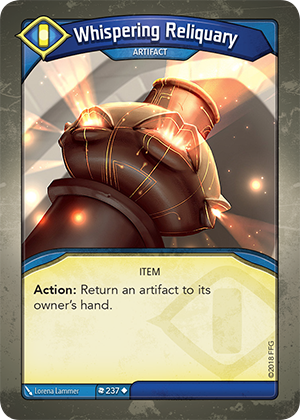 Card Text Action: Return an artifact to its owner's hand. Can Whispering Reliquary’s “Action:” ability be used on any artifact, from either player? Yes. There are no restrictions on which artifact could be returned, including Whispering Reliquary itself.